It’s the final countdown. The top five of the Top 50 College Baseball Programs since 1975. If your college program appears on this list, along with the top two to be revealed later this week, it is truly college baseball royalty. The ranking methodology will be revealed when the top two teams are announced days before the 2019 college baseball season begins. And to refresh as to why we have chosen to start ranking in the year 1975 and beyond is because 1975 marks the first year the regional playoff format was implemented. If you want more explanation, visit the No. 41-50 list for more details. Today, we reveal numbers 3 – 5. Just a few thoughts on why they landed in their respective spots. 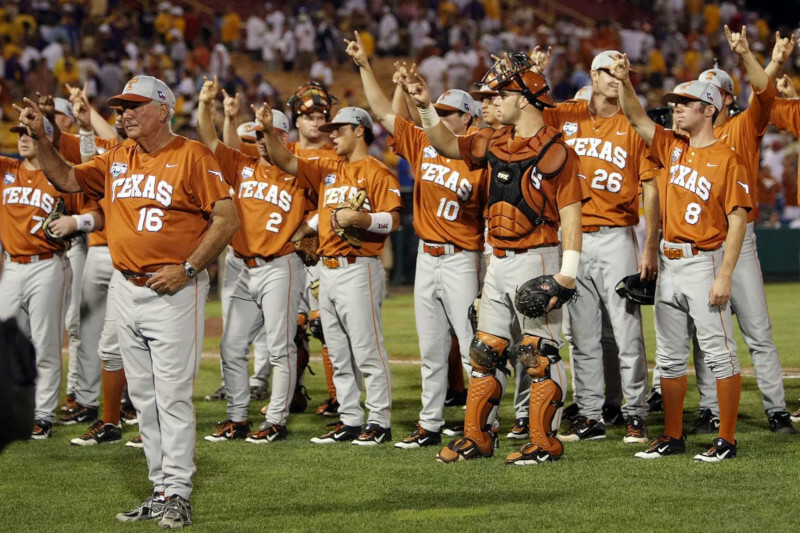 Texas – Many might argue that Texas could be tops in that they have visited Omaha the most out of any college baseball program but keep in mind, 16 of the Longhorns 36 total CWS appearances came prior to the Regional format in 1975. The Longhorns have continued their winning ways after 1975 winning four national championships and visiting Omaha 20 times. Note that Texas is the highest ranked team to not have a Golden Spikes Award winner. Florida State – The ‘Noles are the highest ranking team to have zero national championships but it does not come without a lot of CWS appearances. 17 trips to Omaha and 16 Super Regional appearances combined with four Golden Spikes Award winners, the most of any college baseball program, puts FSU in the No. 4 spot on the Mount Rushmore of College Baseball. 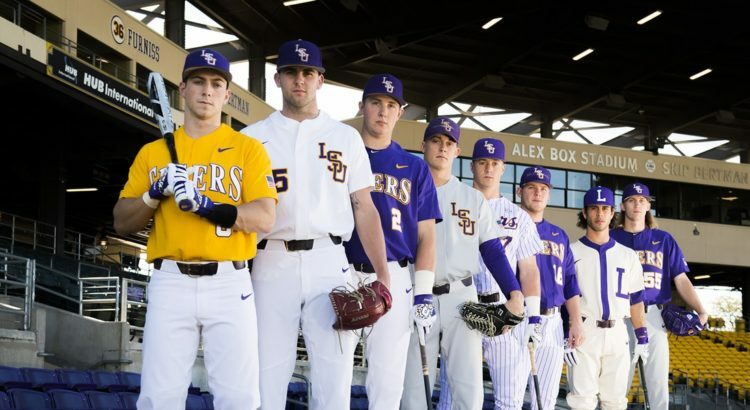 LSU– Six National Championships is tops for teams competing in the Regional Era. 18 CWS appearances have all come since 1986 and all 31 postseason appearances have come in the Regional Era. Ben McDonald took home the Golden Spikes Award in 1989. Make sure to return in a few days as we reveal Nos. 1-2 later this week right before the start of the 2019 college baseball season. Who do you think makes the final two to complete the list of the Top 50 College Baseball Programs since 1975?